Ensure the health and safety of your water source with fast, accurate water quality testing. Get expert water treatment solutions such as water filtration and water softening. We offer quality products and services for well pump system repair and installation. 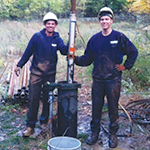 We handle residential and commercial water well drilling projects from planning to completion. 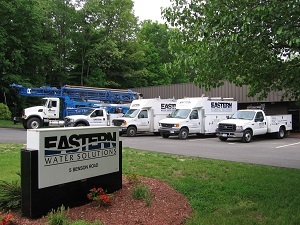 Eastern Water Solutions specializes in a full range of water treatment services throughout Connecticut. In business since 1966, we have proudly served our community with multiple water services that have helped homeowners and business owners acquire efficient, healthy water systems. 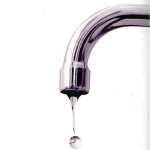 We offer residential and commercial water services designed to meet your specific needs. Eastern Water Solutions also offers emergency servicing for unexpected water issues. With a staff of highly trained and fully licensed water treatment professionals, we can assure you that each job we tend to is completed with the utmost safety and concern, from minor water issues to major system repairs. Browse our site for all of our water conditioning services to find the one right for you. We proudly serve Western Connecticut, including Greenwich, Southbury, and nearby. Get A FREE Water Treatment Solution Quote Today! Eastern Water Solutions offers fast and courteous service from our sales staff, our office staff and our certified and trained technicians. Our services include residential and commercial well drilling, hydraulic fracturing, installation and maintenance of pumping systems, water conditioning and filtering and much more. 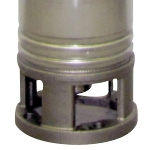 Eastern Water Solutions also offers air and water radon mitigation to ensure safe, drinkable water. We have a complete line of services and products designed for every pump system demand -- residential systems, commercial systems, and environmental systems. We recognize the importance of properly maintained water and water systems. With our expert installation crew and high-quality products, we have the utilities necessary to complete any water treatment job. Contact Eastern Water Solutions today! 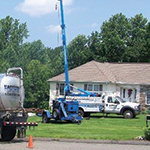 For a free estimate on requested water treatment solutions in Greenwich, Southbury, Cheshire and all surrounding areas in Connecticut, contact us today. Our water conditioning services and inspection services can keep your pump systems functioning efficiently and healthily. Always trust an expert when it comes to major water issues, and Eastern Water Solutions is your local water expert.